Glucomannan is the main constituent of Lipozene ingredients making you feel more satisfied and less hungry with every meal you take. Lipozene diet pills work by creating bulk in your stomach and also inhibit absorption of fats and sugars in the intestinal tract. Lipozene diet pills attribute their effectiveness mostly to high content of fiber, it’s unclear that that these pills actually cause significant weight loss. Similar effects could be obtained from eating a variety of raw fruits and vegetables that contain high quantities of natural fiber without the potential side effects. FDA does not endorse the use of Glucomannan containing pills to treat obesity. According to Lipozene dit pills infomercials you can achieve weight loss without changing your lifestyle of eating preferences, which in itself is highly erroneous and does not carry a healthy message to the public. Per multiple customer reviews Lipozene diet pills were not effective in achieving massive weight goals and allowed some individuals to shed 5 pounds on average. Lipozene carries a list of side effects and might include bloating, indigestion, diarrhea and changes in your blood sugar counts. Lipozene side effects are especially dangerous for individuals with diabetes of elevated blood sugar levels since Glucomannan ingredient in Lipozene diet pills might make blood sugar monitoring more difficult. If you’ve been struggling to lose weight for a long time, Lipozene diet pills are not for you since they will not fix the underlying reason for your obesity. Only your doctor can recommend best diet pills for weight loss or give advice on how to modify your diet and lifestyle to achieve long time weight loss results. 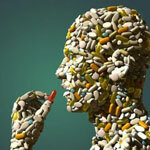 If you would like to learn about Lipofuze side effects, read our other articles on this topic.